Tern is a 12 foot rowing boat with larch planks. 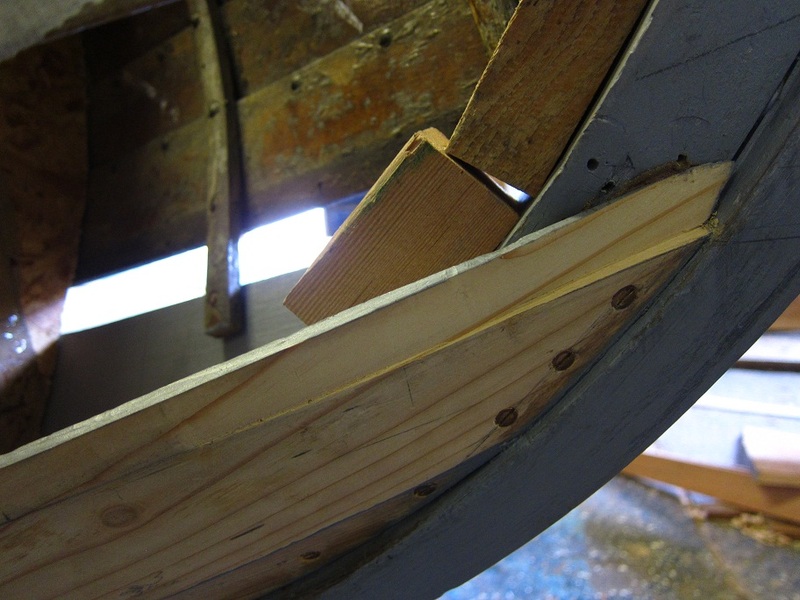 Her original planks are dry, brittle and rotten, but a new boat is slowly emerging. A bit like the Victory, but at a (slightly) faster pace; there won’t be much left of the original but she’ll look like the same boat. 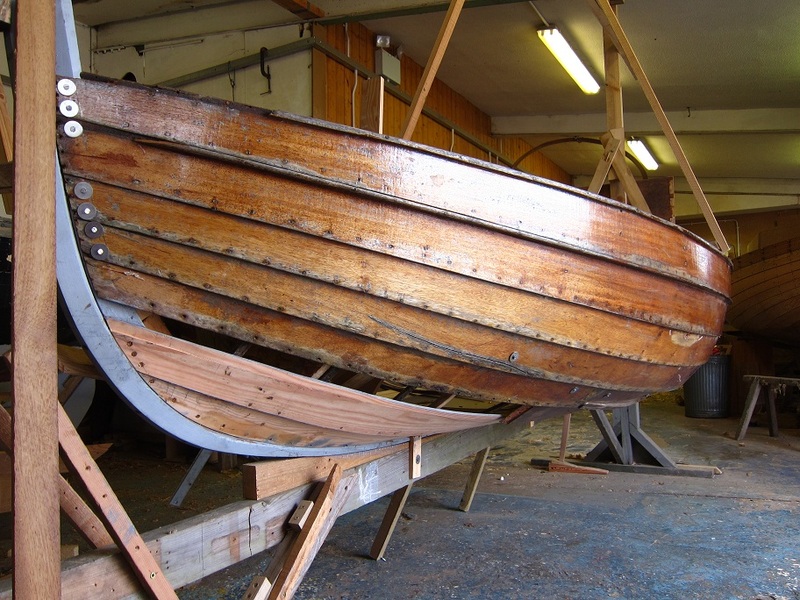 It’s a great example of what IBTC can do; rebuilding boats that wouldn’t have a chance anywhere else. I’ve taken over the clinking planking exercise from Zac, who’s gone off to the real world to earn an honest living. My mission is to make a plank that will run from the stem and will join to one of the existing planks with a feathered scarph joint. As Pete the tutor was enthusiastically explaining the fiendishly complicated process of making a new plank where there is currently just a gap, the main thought going through my head was “can you just do it and I’ll watch?”, but that’s not how you get to be a boat builder, so I decided to just get on with it one stage at a time and see what happened. The first stage is to get some idea of the shape of the plank that you’re going to make. 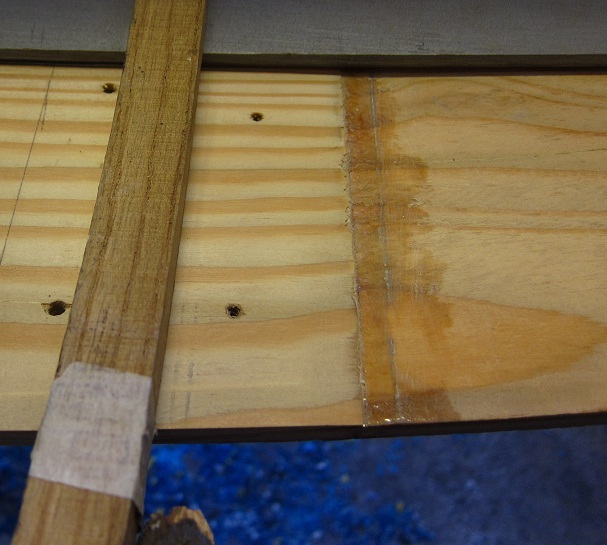 For that you need a spiling board, which consists of a few bits of old plywood stuck together in the approximate shape of the required plank, on to which you can mark any lines that might be useful. I drew along the top edge of the plank below to get started, and drew some projection lines to represent some measurements that Zac had taken of the missing plank above. Then I got a chance at last to use the dummy sticks that we made on the last day in the joinery shop, and were assured at the time that they would be very useful. Dummy sticks are rectangles of plywood of various sizes which are used to transfer lines from one place to another, and now I had a line I could copy it onto the piece of larch selected for the new plank. Once the plank section had been cut roughly to shape it was time to get out the steamer, which is still a bit magical. The new plank section is wrapped up in a bit of plastic tarpaulin and attached by a tube to a wallpaper steamer. After 30 minutes, the plank can be bent to your will (within reason) and held in place with G-cramps. It’s amazing how a curved plank has a completely different shape from a flat piece. It’s lucky I allowed a bit spare along the edges as my original lines bore little relation to the shape of the boat once it was steamed. Now that the plank section was curved I could join it to the aft end of the plank with a feathered scarph. It’s important to get your scarph the right way round, the forward plank should overlap the aft plank so that the water flows over it rather that scooping it up and gradually opening up the joint. Because of the changing angles, this is not an easy joint to cut; it is achieved with a rebate plane, chisels and care. It also improves with practice. 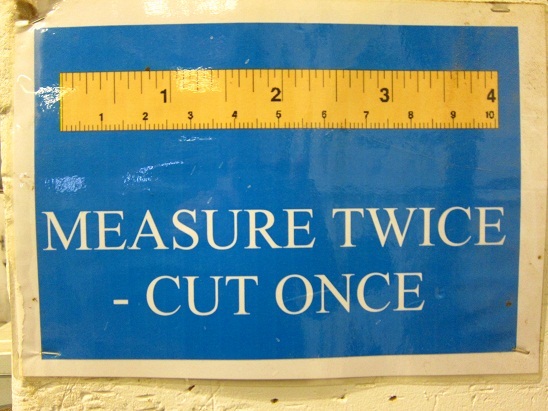 I used to think this was a warning to take my time, but now I see it as an aspiration. It’s the details that really take the time in boat building; I got the plank to shape quite quickly, but have spent days working on the contact points with the rest of the boat. It’s also got to be symmetrical with the plank that Alan is making for the other side before we get the sign off to nail and rove them in place. The final hurdle is Pete’s unfailing critical eye which homes in on every error and omission and makes you wonder how you ever missed them. Wishful thinking maybe.